The stone and marble mason William Stead (1752-1834) had his yard at Nos. 36 and 38 from 1802 onwards. 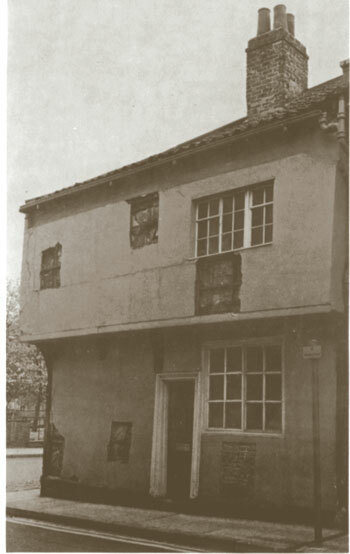 Referred to as a Nordstreet in c.1090 and North Street from the thirteenth century, the name was applied to the whole of the street running north from Micklegate near to the west bank of the Ouse and then turning west on a line parallel to Micklegate. This latter part of the street had long been known as Tanner Row, from the many tanneries which lay along it and in the area between it and the city wall. 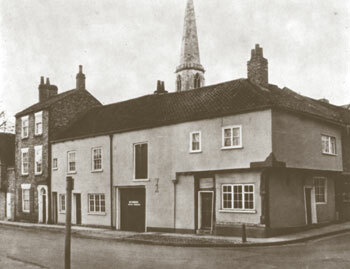 In the fourteenth century and later, tanners formed a large proportion of those parishoners of All Saints, North Street, rated to subsidies or identifiable in other ways. At a later date the street had some association with the building trade - bricklayers, joiners, masons and sand and timber merchants. No. 1 Tanner Row, with No. 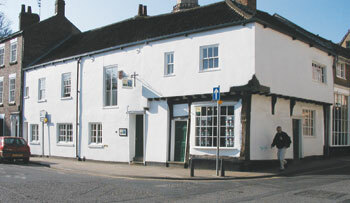 39 North Street, is of two storeys and has walls of brick and plastered timber framing, with a tiled roof. It was built in the late fifteenth century with an open hall and a two-storey block on the east side, jettied to both north and east. There was another jettied block on the west side of the hall, but not communicating with it. This west block was rebuilt or refronted in brick in the eighteenth century (see G. Benson and J. England Jefferson, Picturesque York 1886, plate 7). It fell into disuse towards the end of the nineteenth century and by 1929 had been demolished.